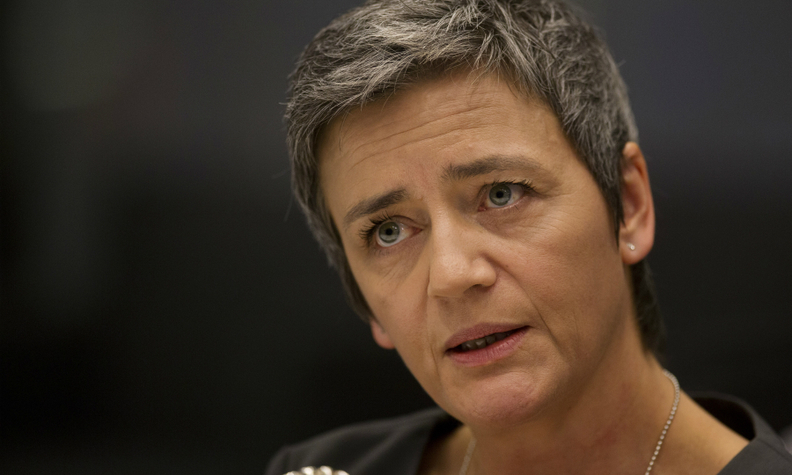 Margrethe Vestager: "Before we know more, we have no concerns." BRUSSELS -- The European Union's competition chief said today she did not see any concerns over a British assurance to Japanese carmaker Nissan Motor Co. related to Brexit, but that she was still waiting for details to have more clarity about the case. Nissan agreed last month to build its new Qashqai crossover at its UK plant, in addition to adding output of the X-Trail SUV, after Prime Minister Theresa May assured it the government would provide support to counter any loss of competitiveness caused by Britain leaving the EU. European Competition Commissioner Margrethe Vestager, who makes sure companies do not unfairly benefit from subsidies granted by governments in the 28-country European Union, said UK authorities had yet to provide the required information. "Before we know more, we have no concerns," Vestager told reporters on the sidelines of a conference in Brussels. Vestager can ask national authorities to recover subsidies that breach the bloc's strict state aid rules. She has ordered Ireland to claw back up to 13 billion euros ($13.8 billion) in back taxes from Apple.